The footage has sparked anger on social media. 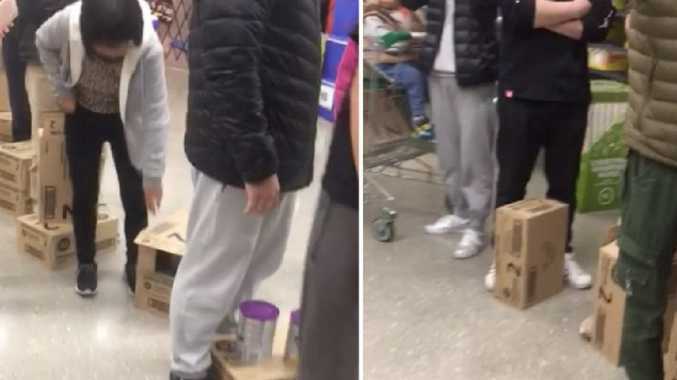 A FIERY debate over Australia's baby formula stockpilers has reignited after footage surfaced showing an early-morning shopping frenzy at a Woolworths in Melbourne's east. The footage has sparked such a strong backlash, that Woolworths is dropping its baby formula limit from eight tins to two per customer from next week. Stunned shopper Ben Barak was just nipping into the Woolies branch at Chadstone Shopping Centre in the city's southeast to pick up some early morning supplies when he noticed something strange was happening. 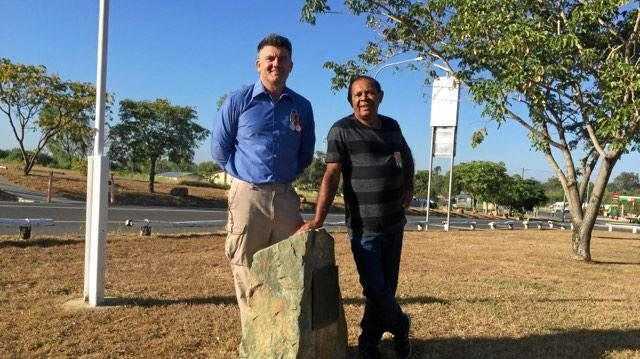 "I got to the shop at just before 8am that morning (Sunday) and there was nobody there," he said. 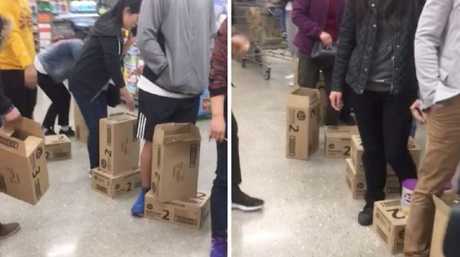 "But when I went to pay at the checkout about five or 10 minutes later, there was about 50 people lining up with boxes. They just came out of nowhere. "There was a line from one end of the supermarket to the other full of people carrying boxes of baby formula. "It was a bit of a shock and I thought: 'I'm not waiting that long just to buy coriander'. I thought there was no point buying if it was going to take that long." However, an assistant noticed him wandering around the shop and took him to an express checkout - where he discovered the bizarre scenes were nothing out of the ordinary. "I asked the cashier if there was some sort of offer on baby formula and she said: 'No it happens every week and they come at the same time every time'." Mr Barak's footage of the shoppers lining around the store has drawn ire from hundreds on social media, with some saying it is the largest amount of people they've ever seen queuing for the valuable product. Others said purchase limits were clearly not working. "I had no idea it was this bad," wrote one shocked commenter. "No wonder there are constantly desperate parents on the Facebook mum groups asking around if stores have any formula." "I feel bad for Australian parents," added another. Many said it was clear from the footage that Woolworths' attempts to make buying the precious commodity were not working. "We'll closely monitor our on shelf availability and feedback from customers as we make this adjustment," she said. "We will communicate this limit to our store teams and ensure our customers are advised by displaying signs in our stores." The footage has surfaced after years of highly sought-after brands such as A2, Bellamy's and Aptamil being stripped from shelves by "daigou", or personal shoppers, who resell the products to customers in China at inflated prices. The precious formula is being sold on for high prices. Picture: David Swift. Aussie stores have faced consistent complaints from angry parents about bulk-buying techniques - which have led to shoppers stripping shelves, filling trolleys and car boots and even scrapping in supermarket aisles to stock up on baby formula tins. "The limits don't really work because you can just go to another supermarket straight after or just come back two hours later."